The president of a liberal think tank responded to criticism from Sen. Bernie Sanders on Monday, the latest development in the biting back-and-forth between the progressive presidential candidate and an organization with ties to Hillary Clinton and the Democratic establishment. The Vermont lawmaker on Saturday sent a letter to the board of the Center for American Progress and CAP Action Fund rebuking the think tank for playing what he called a “destructive role” in the “critical mission to defeat Donald Trump,” The New York Times first reported. Sanders referenced an article and video published on the website of ThinkProgress — a news site started by CAP — that railed against the senator for his growing personal wealth. 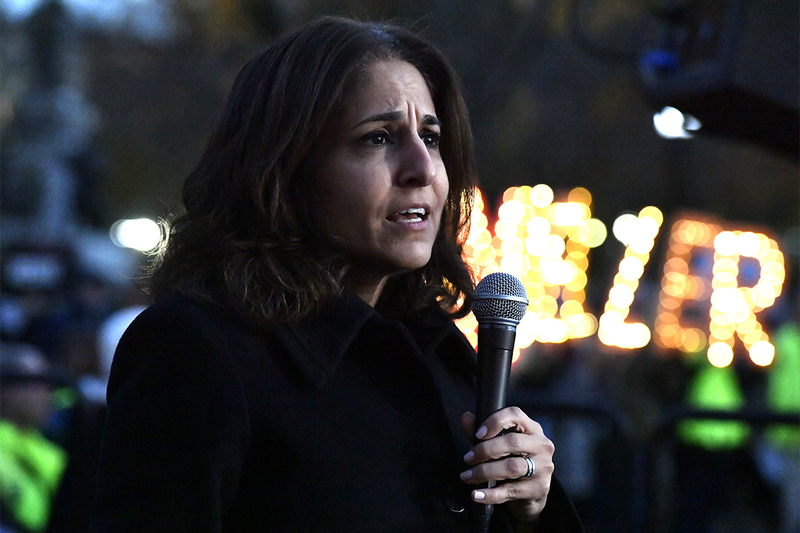 “We believe the content of the ThinkProgress video critiquing Sen. Sanders is overly harsh and does not reflect our approach to a constructive debate of the issues,” Tanden said. 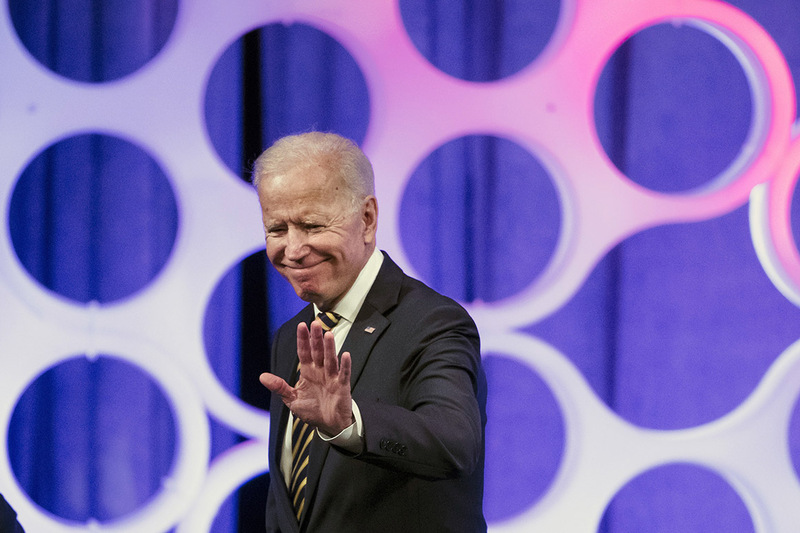 The clash represents a deeper tension within the Democratic Party as 18 candidates vie for the chance to take on President Donald Trump in the 2020 election. As a number of progressive contenders threaten to pull the party farther left — a charge led by Sanders, who’s currently polling as the frontrunner among those in the race — more-centrist Democrats worry that the liberal shift could harm their chances in the general election and challenge the party leadership’s control on the nomination process. ThinkProgress has also published content attacking Sens. Cory Booker (D-N.J.) and Elizabeth Warren (D-Mass. ), posts that Sanders said belittled progressive ideals. Tanden was a close adviser to Clinton during her 2016 campaign and has been criticized by Sanders supporters for helping stifle progressive activists, who complain that the Democratic Party’s leadership orchestrated the nomination process and are beholden to corporate donors. CAP was founded in 2003 by John Podesta, who served as chairman of Clinton’s 2016 campaign and chief of staff to her husband, former President Bill Clinton. Leading Democrats have worked to reach out to Sanders supporters in the wake of Trump’s 2016 victory, though the senator’s letter illustrates the ease at which the fragile efforts toward party unity might be hindered. Zhang was found to be carrying multiple phones, a laptop and a thumb drive that preliminary investigations suggested contained malware. A search of her hotel room found over $7,500 in cash, multiple SIM cards and a signal detector used for finding hidden cameras. She has not been charged with espionage, though assistant US Attorney Rolando Garcia said on Monday it was “possible” that the US government would bring more charges against Zhang. 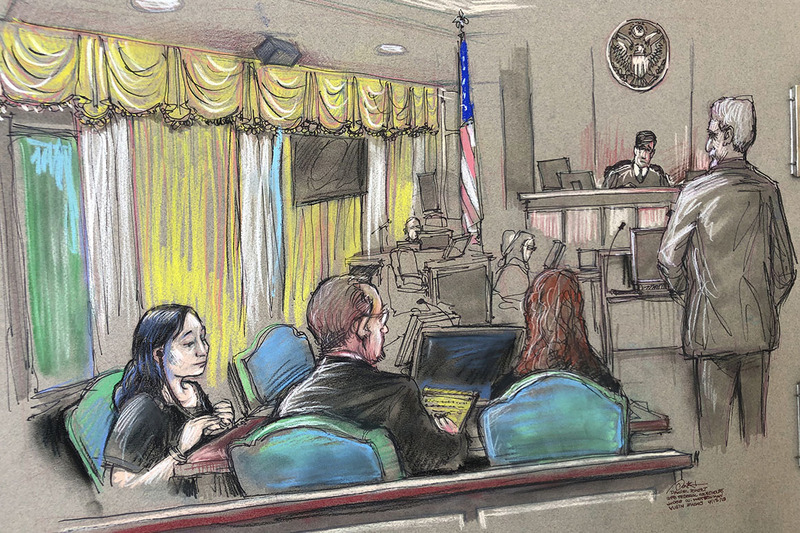 In a federal courtroom in West Palm Beach, Magistrate Judge William Matthewman noted that there was no extradition agreement between China and the US, and that Zhang, who lives and works in Shanghai, had no family or ties to the US. There was a serious risk of flight, said Matthewman, adding that no bail conditions existed that could reasonably assure Zhang’s presence at trial. Zhang, who addressed the judge in Chinese but at one point said in proficient English that she did not understand a certain remark made by the prosecution, has pleaded not guilty to both the charges against her. She could face up to six years in prison and over $250,000 in fines if she is found guilty. Documents filed by the defence during a court appearance last week indicate Zhang was born in Shanghai, where, according to Militello, she went to college at Shanghai University and where she currently owns a home. Court documents also indicate that Zhang has entered the US at least six times since 2013, arriving at various ports including New York, Seattle and San Francisco. Since being charged, her 10-year B1/B2 visa has been revoked – meaning that, had she been granted bail, she could have faced immediate immigration detention. A preliminary analysis of a thumb-drive found in her possession suggested it contained malware, with Ivanovich testifying last week that, when another agent put Zhang’s thumb-drive into his computer, it immediately began to install files. The agent had to halt the analysis to stop further corruption of his computer, Ivanovich said. Yet further investigations of the device did not lead to the same results, Garcia said on Monday, indicating the possibility of a “false positive” about the existence of malware. While she was at Mar-a-Lago’s reception desk, Zhang was “within arms’ reach” of resort computers, said Garcia. Zhang’s defence has argued that her sole motivation for visiting Mar-a-Lago on March 30 was to attend a “Safari Night” function at which Trump’s sister, Elizabeth Trump Grau, was scheduled to attend. That event had been cancelled days before as scrutiny grew over one of its promoters, Cindy Yang, the massage parlour entrepreneur who ran a business advertising access to prominent US politicians for Chinese clients. Garcia said on Monday that communications between Zhang and Lee in the Chinese messaging app WeChat days before she left Shanghai for the US indicated that she was aware the event had been cancelled. The March 30 incident led to a flurry of calls from senior US Democrats for an FBI investigation into the strength of security procedures at Mar-a-Lago, where Secret Service staff sometimes defer to resort staff on matters of guest admission. Trump, who called the security breach “a fluke situation”, was visiting the resort that weekend but golfing nearby at the time Zhang was apprehended. Passing down his decision on pre-trial detention on Monday, Judge Matthewman said he was not taking into consideration “any political issues that may be swirling around this case." Key Democratic lawmakers on Monday accused the Trump administration of "a bizarre and unlawful attempt to score political points" with a possible plan to send undocumented immigrants detained at the U.S.-Mexican border to congressional districts represented by Democrats. Congressmen Jerrold Nadler, Elijah Cummings and Bennie Thompson, all chairmen of House of Representatives committees investigating President Donald Trump's administration, demanded documents and communications about the plan to move migrants from the border to hundreds of communities throughout the U.S. In opposition to Trump, local officials far from the border across the U.S. have declared their jurisdictions as sanctuary cities for migrants and refused to help federal officials track down the immigrants so they can be deported. Trump suggested again Monday he wants to move the immigrants detained at the border to the sanctuary cities and states after saying over the weekend he wants them "to take care of the Illegal Immigrants -- and this includes Gang Members, Drug Dealers, Human Traffickers, and Criminals of all shapes, sizes and kinds." The lawmakers said, "It is shocking that the president and senior administration officials are even considering manipulating release decisions for purely political reasons." The government's Department of Homeland Security has said that Congress has not appropriated any money to transport the migrants from the border to far-flung sanctuary cities, while the Immigration and Custom Enforcement agency has called the idea an "unnecessary operational burden." But Trump, who is often at odds with Democratic lawmakers over funding to control the 100,000-a-month surge of migrants at the border, revived the idea in recent days, claiming that opposition Democrats who favor open borders ought to approve of accepting the migrants into their communities. Some local Democratic officials have said the migrants, mostly from Central America, are welcome in their cities, while other party officials have claimed that Trump has no legal right to single out specific communities for an influx of migrants. White House press secretary Sarah Sanders told the "Fox News Sunday" show, "We certainly are looking at all options as long as Democrats refuse to acknowledge the crisis at the border." Trump, in one of several Twitter comments on border security in recent days, said, "The USA has the absolute legal right to have apprehended illegal immigrants transferred to Sanctuary Cities. We hereby demand that they be taken care of at the highest level, especially by the State of California, which is well known (for) its poor management & high taxes!" Washington state Governor Jay Inslee told NBC's "Meet The Press" that his state welcomes people who are awaiting their asylum hearings. "You can't threaten somebody with something they're not afraid of. And we are not afraid of diversity in the state of Washington," Inslee said. He criticized what he called immigration solutions based on "trolling on the internet" and instead promoted a system to process more asylum claims, a path to citizenship for those already living in the United States who came to the country illegally, and having an overall "acceptance of refugees because we're a humane nation." The U.S. now houses thousands of migrants at the border but is running out of beds and instead is releasing new arrivals into the U.S. on their promise to appear at asylum hearings that might not occur for two years. Press secretary Sanders said, "Nobody thinks this is the ideal solution," sending migrants to sanctuary cities. But she said mayors of cities "who want this ... should be looking to help" Trump resolve the crisis at the border. She accused Congress of wanting to spend "all of its time investigating the president" rather than dealing with the immigration turmoil. Trump tweeted, "So interesting to see the Mayor of Oakland and other Sanctuary Cities NOT WANT our currently 'detained immigrants' after release due to the ridiculous court ordered 20 day rule. If they don’t want to serve our Nation by taking care of them, why should other cities & towns?" Trump was referring to a court ruling prohibiting the U.S. from detaining migrant minors, those under 18 years old, for more than 20 days, before being required to release them to relatives in the U.S. or other caregivers. Oakland Mayor Libby Shaaf responded to Trump with a tweet saying, "It's time to stop fanning hate and division." "I've been consistent and clear: Oakland welcomes all, no matter where you came from or how you got here," she said. A key Republican lawmaker, Sen. Lindsey Graham, told another Fox News show, "Sunday Morning Futures with Maria Bartiromo," that after the current two-week congressional recess ends, he would introduce legislation that would authorize the detention of children beyond 20 days, "toughen up our asylum standards," and allow migrant children to be returned to Central American countries, which is not now allowed once they have entered the United States. "We're never going to change this with troops and walls at the border," Graham said of the U.S. immigration crisis. "Doing what we're doing is not working." He added, "If you get one foot into the United States," migrants can seek asylum. "The word is out that if you come with a minor, you're never going to get deported. We need to change that narrative. We need troops at the border. We need a law. But these (U.S.) laws are insane." Investigators relied on his and Chelsea Manning’s online chats. NEW YORK (AP) - Aretha Franklin received an honorary Pulitzer Prize on Monday, as judges praised the late icon "for her indelible contribution to American music and culture." Competitive Pulitzers were awarded to books about two other giants of American history: Frederick Douglass and Alain Locke. NEWARK, N.J. (AP) - Three Newark men and another from Kearny have been indicted in connection with an eight-month investigation into what authorities call a "drive-through" drug market that catered to customers traveling on Interstate 78 through Newark. Despite his low first-quarter haul — businessman Andrew Yang outraised Castro in the first quarter by more than half a million dollars — Castro's campaign insists it has momentum going forward, raising more than $572,000 so far in April on the heels of a CNN town hall last week and a rally countering President Donald Trump’s recent fundraising stop in San Antonio. Castro's campaign has invested heavily in digital fundraising while adding key staff since the first quarter ended. Washington Gov. Jay Inslee raised $2.25 million for his presidential campaign in the first quarter after jumping into the race on March 1, his campaign told POLITICO. The total comes in behind most of Inslee's rivals in the 2020 Democratic primary. But Inslee's campaign argued that he got into the race later than many of his competitors and has raised money at a faster clip since then. Inslee's campaign did not release its average contribution or the number of people who have donated to the governor so far. The campaign did say 75 percent of its contributions were $25 or less and 95 percent of them were under $100. 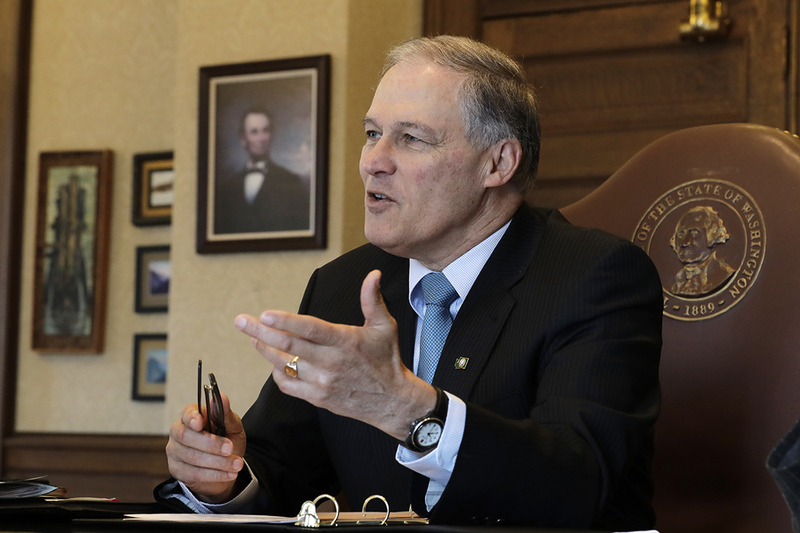 Inslee has met one of the grassroots fundraising criteria laid out by the Democratic National Committee for participation in the first round of primary debates this summer, taking in donations from at least 200 people in 20 different states. Sen. Bernie Sanders has led the way in fundraising in the Democratic primary so far, bringing in over $18 million in the first quarter. Sen. Kamala Harris announced raising $12 million. All of the candidates have to file detailed campaign finance reports with the Federal Election Commission by the end of Monday. Still sore over losing it in 2016, President Trump openly courted the state of Minnesota ahead of his reelection bid, saying he's allowed industry to tap into natural resources in Superior National Forest and will bolster the steel industry. DETROIT (AP) - A Canadian cab driver has been sentenced to 16 months in a U.S. prison for sending desperate immigrants through a risky international tunnel under the Detroit River. The White House announced Monday that President Donald Trump spoke by phone over the weekend with former President Jimmy Carter after Carter wrote to the president about his trade negotiations with China. “The President has always liked President Carter and First Lady Rosalynn Carter, and extended his best wishes to them on behalf of the American people,” the statement added. 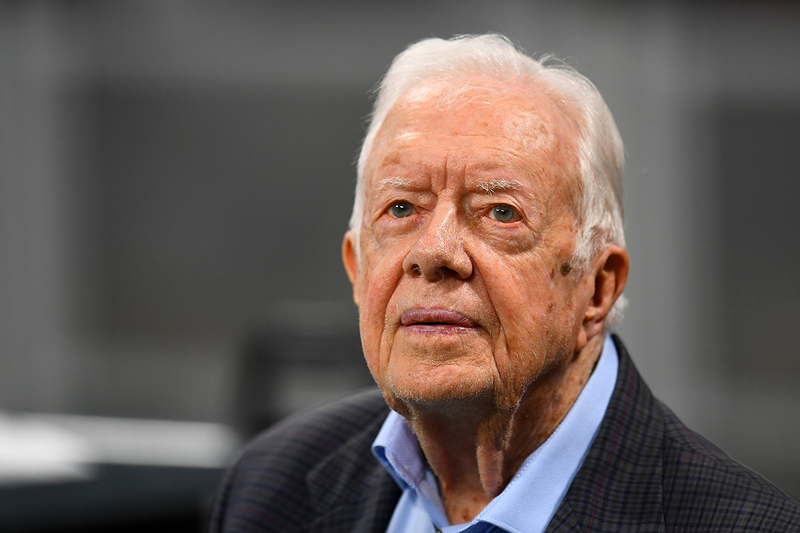 Carter, who last month became the oldest living president, disclosed his talk with Trump during one of the biweekly Sunday school classes he teaches in his hometown of Plains, Ga., according to Atlanta radio station WABE. Carter oversaw the normalization of U.S.-China relations during his one term as president, and said during an event in January commemorating the 40th anniversary of that milestone that he was planning to draft a letter advising Trump to convene a small group of informal “distinguished” advisers on China. He told Sunday’s congregation that Trump said he felt China was “getting ahead of us,” adding that he agreed with the president. “And do you know why? I normalized diplomatic relations with China in 1979. Since 1979 do you know how many times China has been at war with anybody? None. And we have stayed at war,” Carter argued. Carter reportedly did not mention whether Trump discussed his ongoing trade war with Beijing, but said Trump was worried about China leapfrogging the U.S. as a world economic superpower, though he said he doesn’t share those concerns. “I don’t really fear that time, but it bothers President Trump and I don’t know why. I’m not criticizing him — this morning,” he reportedly said, to laughs. The Democrat, who stays active in his community despite being nearly 95, reportedly said Saturday’s phone call was the first time he’d ever spoken to Trump, despite being present at his inauguration in 2017. The Presidential Medal of Freedom is one of the highest civilian awards and is bestowed upon those who have made “especially meritorious contributions to the security or national interests of the United States, to world peace, or to cultural or other significant public or private endeavors." Woods, considered one of the greatest golf players of all time, last won the Masters in 2005 and his last victory in one of golf's four major championships was at the 2008 U.S. Open. He has 15 major championship wins in his career, second all time behind Jack Nicklaus, who has 18. Trump is an avid fan of golf, a sport he is known to play regularly, including on frequent trips to the multiple golf properties he owns. The Trump Organization maintains 19 golf properties, including well-known courses at Turnberry, Scotland, West Palm Beach, Florida, and Trump National Doral in Miami. 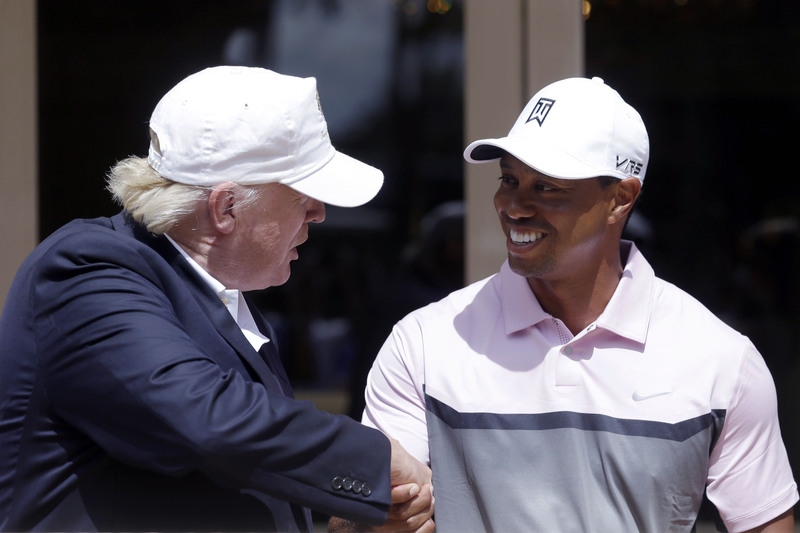 Trump and Woods, who lives in Florida not far from the president's Mar-a-Lago club, have a friendly relationship and have played golf together in the past. The president, Woods and Nicklaus played together last February at Trump's Jupiter, Florida, course. The president has presented Medals of Freedom to multiple other athletes, including Roger Staubach and Alan Page, as well as a posthumous award for Babe Ruth. As Paris’ historic Notre Dame Cathedral burned Monday, President Donald Trump tweeted about the “horrible” sight and suggested the French deploy flying water tankers to quell the flames engulfing the iconic church. 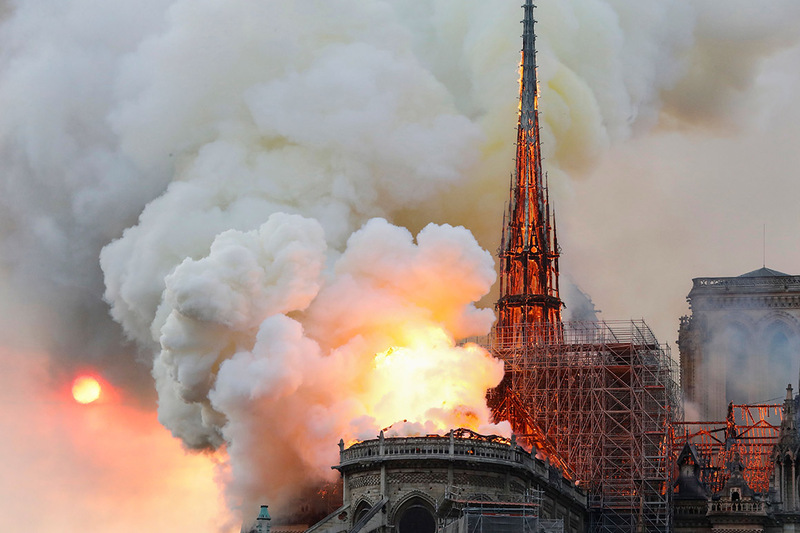 The cause of the fire was unknown, though French media reported it may be linked to renovation work being done in the peak of the church, according to the AP. When news of the fire broke, Trump was aboard Air Force One en route to Minnesota to visit a truck and equipment company for a roundtable discussion on tax cuts and the U.S. economy. Fox News started airing footage of the burning monument 10 minutes before the plane landed. 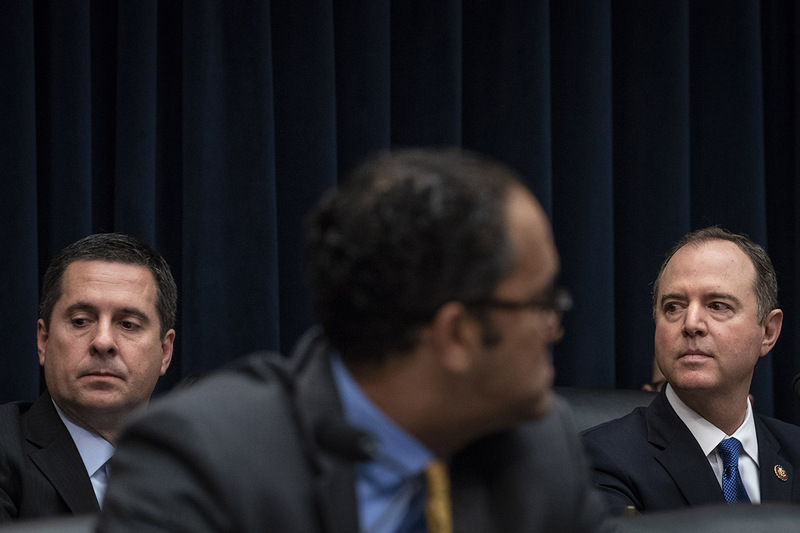 Reps. Adam B. Schiff and Devin Nunes reportedly came together in March, calling for special counsel Robert Mueller to testify before the intelligence committee and provide them "all materials" obtained during the Russia investigation. 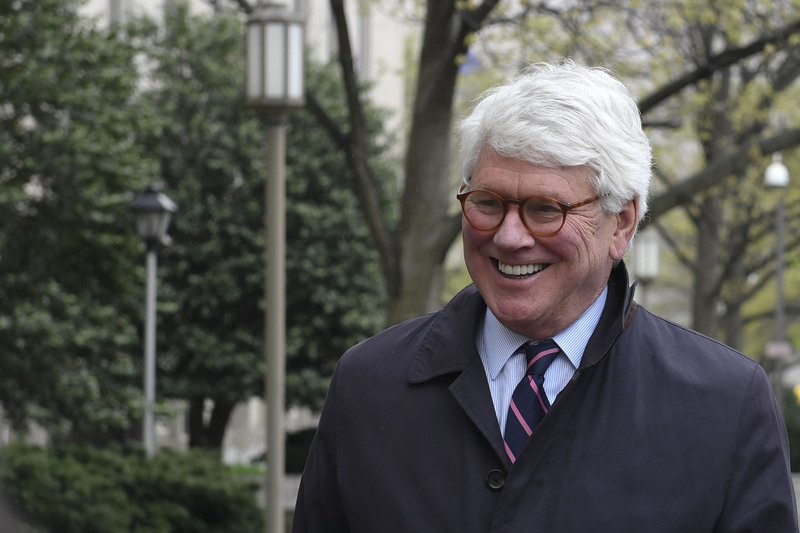 The defense’s central argument will be that most of the case against Craig stems from allegations that he failed to disclose information to the Justice Department about his work in connection with a report he and his then-law-firm, Skadden Arps, prepared in 2012 for Ukrainian President Viktor Yanukovych’s government about the criminal trial of Yanukovuch’s political rival, Yulia Tymoshenko. “Those…are certainly not misrepresentations and they are certainly not material,” Taylor insisted. He also argued that one of the two false-statement charges in the indictment is defective because the law in question only prohibits false statements in filings with the Justice Department’s foreign-agent office. Craig is alleged to have misled officials during an in-person meeting. Jackson also told lawyers she’s considering whether a gag order may be appropriate in the case and wants to hear from them within about a week on whether she should do so. The judge said any such order would apply to “both sides.” She did not mention that statements by President Donald Trump could complicate any effort to rein in comments on the case. After Craig’s indictment, Trump took to Twitter to critique the New York Times and Washington Post for downplaying their stories about the charges. However, Jackson sided with prosecutors, ordering Craig to turn in his passport and to get permission from the court for any trips abroad. He will be permitted to travel in the U.S. as long has he gives prior notice to the probation office, she said. President Trump on Monday said Tiger Woods' victory at The Masters and comeback story was so impressive that he will give him the Medal of Freedom, the U.S.'s highest decoration for civilians. “When they go low, we go high,” former first lady Michelle Obama recited as her motto. When it comes to electability, however, that could be bad advice — but not in the way that might be imagined. Research into the voices of political candidates concludes how a contender speaks is critical — and lower pitch is better. “Individuals with lower voices are more likely to win and to win a larger vote share,” says University of Miami Associate Professor Casey Klofstad. “What our experimental data show is that we like candidates with lower voices, largely because they are perceived as stronger and more confident and, to a lesser degree, because they're perceived as older.” This tonal bias may partly explain the under-representation of women in elected office. And with a record number of women vying for the Democratic Party’s nomination for U.S. president, the research is receiving wider scrutiny. Stanford Gregory, emeritus professor of sociology at Kent State University, studied the voice characteristics of the U.S. presidential general election contenders between 1960 and 2000, as well as analyzing the three debates in 2008 between Democrat Barack Obama and Republican John McCain. Gregory noted a tendency for McCain to show dominance in the lower nonverbal frequencies of his voice while Obama finished the debates more strongly. Gregory and his Kent State colleague Will Kalhoff observed a "recency effect," in which potential voters take away more of an impression from the end of debates. Obama had a "rope-a-dope" debating style akin to the boxing techniques of heavyweight legend Muhammed Ali who would hang back from the start of a fight until his opponent exhausted himself and then dominate the end of the match, according to Gregory who concluded the victorious candidate is the one who sets the tone, so to speak. “We found it was the person who changed the least in his lower frequencies compared to the other person, so in effect from the beginning, he would set the lower frequency tone and the other person would adapt to that in the course of debates,” says Gregory. The effect also could be seen in the 2016 Republican primary where President Donald Trump, initially regarded as a longshot, overwhelmed as many as 10 candidates on the debate stage, including former Florida governor Jeb Bush and Senators Marco Rubio of Florida and Ted Cruz of Texas. “It was just obvious this is what he did,” states Gregory. As Vox news editor Libby Nelson, also an adjunct professor of public affairs at American University, wrote, looking back on Trump’s primary debates’ performance: Trump would “pick out one or two antagonists during any given debate — always some combination of Bush, Marco Rubio, and Ted Cruz — to try to take down. The point wasn’t to get them to concede a policy point to him, but to establish that Trump was the one who should be allowed to talk.” Some who work on campaigns cast doubt, however, on relying on such research to predict outcomes of races, especially for presidential contests where voters are more likely to more intensively scrutinize candidates. “I'm skeptical as a practitioner of anytime someone comes and says, ‘We have isolated the thing that impacts the results of a campaign’— whether it's yard signs, TV ads, money in politics or how someone talks,” says Matt Dole, who has worked on about 250 local and state campaigns of Republican candidates in Ohio. Dole tells VOA that voices “could have a role” in influencing voters, as might a candidate’s gender, facial characteristics, height, attire and other cosmetic features. Gregory was asked who among the large field of 2020 Democratic hopefuls might best set the advantageous low tone during the party’s upcoming televised debates? 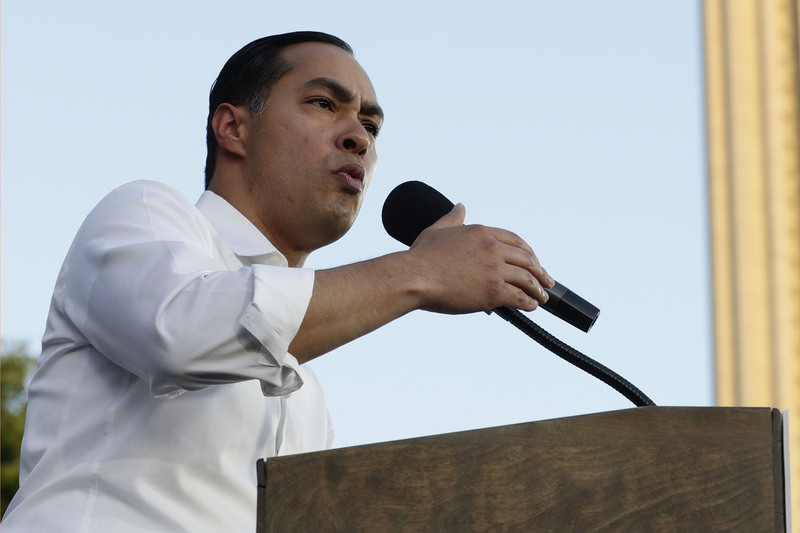 Senator Elizabeth Warren of Massachusetts “is pretty good at this kind of thing,” Gregory replied, noting he is also curious to see how former Texas Congressman Beto O’Rourke performs. While Warren’s voice may not be as low as some of her primary race male competitors (or that of Trump), Gregory says what is more important is “the ability to maintain a certain tone and keep it and not alter or fade back on it in the course of the debate or the interview.” Former Pima County, Arizona Democratic Party Chair Don Jorgensen says,“Warren has learned the secret of speaking slower, breaking up her rhythm and finishing on a strong low beat to keep audiences engaged.” Jorgensen also says Warren “employs her slightly breathless tone to indicate urgency and rather than attempting to shout at crowds she effectively forces them to tune in to her.” Effective candidates have learned that speeches and debates “are a form of political performance art, where appearance and tone leave a far stronger impression than the message itself,” Jorgensen tells VOA. Gregory agrees, putting it even more bluntly. “What you say doesn't make any difference,” says Gregory, noting Trump’s 2016 boast:“I could stand in the middle of 5th Avenue and shoot somebody and I wouldn't lose voters.” Gregory says that makes people conclude “You could put anyone up there as long as they had the right kind of frequency insignia.” Klofstad in Miami has a different take on Trump. “I don't think Trump is a good case study in the pitch of the voice mattering,” he says, arguing that when it comes to the current president “it’s more cadence,” pointing to Trump’s ability to hold an audience with extemporaneous remarks at big rallies. Looking at the current pack of Democrats, Gregory contrasts the telegenic O’Rourke (“credibly audacious and articulate when it comes to issues but he’s kind of all over the place”) to lesser known contender Jay Inslee, governor of the state of Washington who focuses on the environmental issue. On an acoustical basis, according to Gregory, Inslee also seems to maintain a single authoritative tone, meaning “he has a pretty good chance.” A cacophony of other candidates is certain to voice skepticism about that. More than 200 progressive groups are circulating a letter demanding members of Congress defend Rep. Ilhan Omar amid the fallout from a President Trump-endorsed video condemning the freshman congresswoman's comments about the Sept. 11, 2001, terrorist attacks. 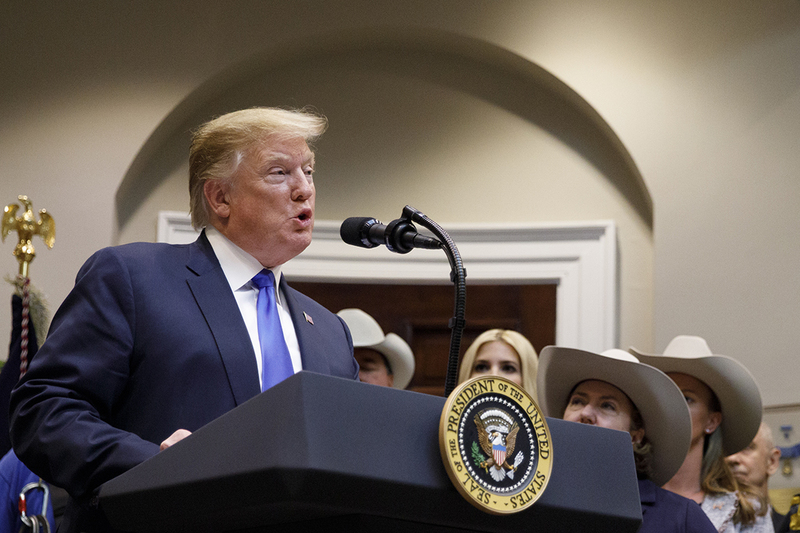 President Donald Trump on Monday appeared to announce his administration will move forward with a plan to bus undocumented immigrants to so-called sanctuary cities, “subject” to the Department of Homeland Security. “Those Illegal Immigrants who can no longer be legally held (Congress must fix the laws and loopholes) will be, subject to Homeland Security, given to Sanctuary Cities and States!” the president declared in a tweet. Trump’s plan to allow officials to transfer undocumented immigrants into cities that have limited their cooperation with federal immigration agencies was first reported in The Washington Post last week — though the Post reported the idea was last floated in February as retaliation against politicians in largely Democratic strongholds but was shot down by administration officials. The White House and DHS denied the idea was ever seriously under consideration, but the president revived the idea just a day later, saying in a tweet that he was “strongly considering” the idea. On Friday, he blamed a court settlement known as the Flores agreement that bars the U.S. from detaining migrant children for more than 20 days and has framed his proposal as calling the bluff of leaders in sanctuary cities. Over the weekend he asserted he has the "absolute legal right" to move forward with his plan. White House press secretary Sarah Huckabee Sanders confirmed Sunday the administration was “looking to see if there are options that make” Trump’s proposal legally viable, and described it as “an option on the table” among other immigration enforcement measures. She argued that sanctuary cities who say their arms are open to immigrants will help ease the burden of communities along the border swamped by a surge in migrants. Democratic lawmakers and leaders of sanctuary cities quickly responded to Trump's plan over the weekend, decrying the White House's use of migrants as "pawns" and demonizing rhetoric, occasionally calling the idea a waste of resources but largely affirming they would welcome the immigrants. The proposal comes amid a major leadership shakeup at DHS as Trump considers an extensive immigration crackdown. In the span of a few days last week, Trump pulled the nomination of his pick to lead Immigration and Customs Enforcement, DHS Secretary Kirstjen Nielsen and deputy secretary Claire Grady resigned, and the head of the Secret Service left the administration. Stephen Miller, an adviser to Trump and an immigration hardliner, has pushed for more extensive changes at the agency, and an even larger clamp down on immigration. In that time, Trump has also threatened to close the U.S.-Mexico border, an idea he later backed off of after widespread backlash over the potential economic effects. He has also reportedly sought to reinstate his administration’s controversial family separation policy, though he denied doing so. His administration has also considered targeting countries whose citizens most frequently overstay their visas in the U.S. The New York Times reported Sunday that Trump revived the idea at least “in part” to distract from the impending release of special counsel Robert Mueller’s findings from the Russia investigation. Trump’s tweet Monday came moments after the Justice Department announced when the redacted version of the report would be made public. Rep. Eric Swalwell officially kicked off his candidacy for president Sunday, adding he would assemble a "team of rivals" in his presidential Cabinet if he should win the 2020 election. 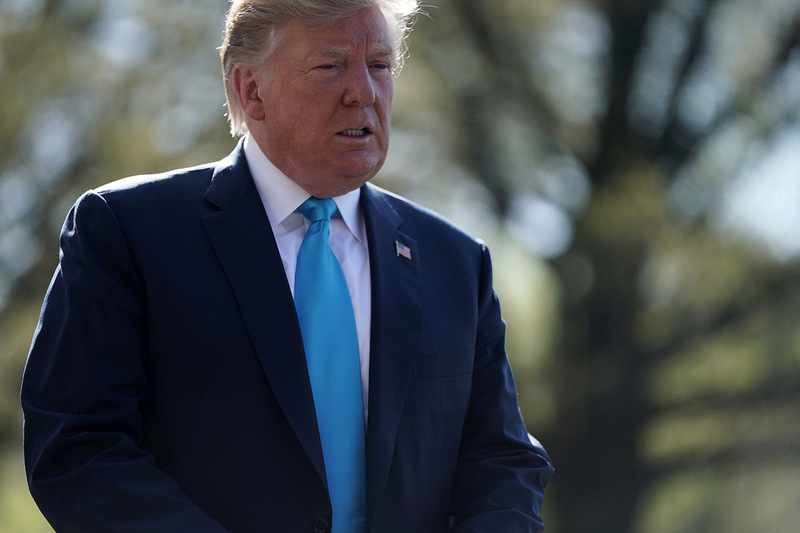 A lawyer for President Donald Trump renewed his criticism of House Democrats' bid to seize the president's tax returns, telling the Treasury Department that they've offered no good reason to obtain the documents. William Consovoy attacked Democrats’ arguments that they need Trump’s confidential filings so they can vet the IRS’s audits of the president. What’s more, he said, it’s not Congress’s job to second-guess the agency’s examinations of individual taxpayers. The letter comes days after House Ways and Means Committee Chairman Richard Neal (D-Mass.) set a new April 23 deadline for the administration to hand over the filings. A Neal spokesperson declined today to comment. Neal is citing a nearly century-old law that allows the heads of Congress’s tax committees to examine anyone’s returns. 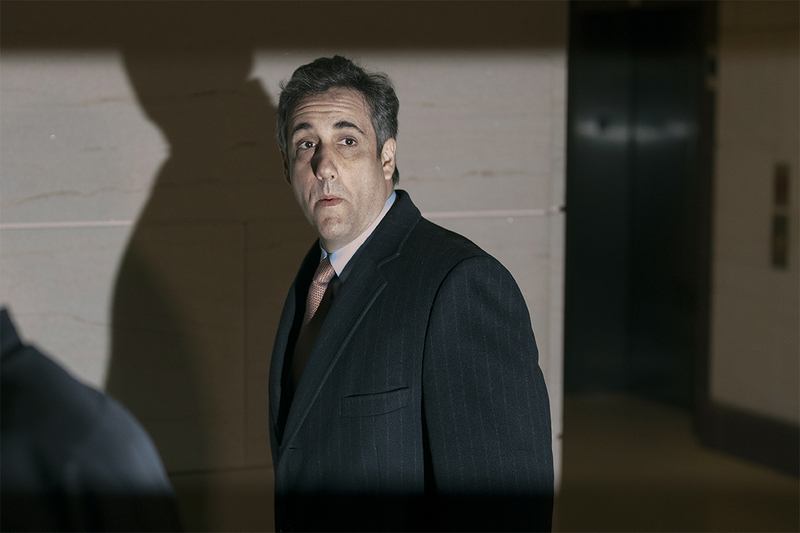 Democrats are trying to use the law to obtain Trump’s returns, which he has steadfastly refused to release despite a decades-old tradition of presidents and White House contenders voluntarily releasing their filings. Neal, who is demanding six year’s worth of Trump’s personal and some of his business returns, says he needs them to examine how rigorously the IRS is implementing its longstanding policy of audting every president. Neal had initially set an April 10 deadline, which Treasury missed, saying it needed more time to study the issue. Elizabeth Warren is vowing to prohibit new fossil fuel leasing on public lands if she’s elected president, one of several new energy proposals she rolled out on Monday before a campaign swing in two Western states. Warren, a U.S. senator from Massachusetts, already has launched more than a half-dozen new proposals since entering the Democratic primary , outpacing her many rivals in a calculated bid to lead 2020′s ideas race. Her latest addition to her policy agenda aims to reverse the significant climb in drilling on public lands under President Donald Trump while also fleshing out her approach to climate change, a key issue for her party’s liberal base. Besides an executive order barring new fossil fuel leases on public lands on shore and offshore, Warren said Monday that she would work toward boosting U.S. electricity generation from renewable sources offshore or on public lands. Her plan also includes free entry to national parks, the reinstatement of Obama-era environmental policies Trump rolled back and the creation of a service program to help maintain public lands. “Any serious effort to address climate change must include public lands — fossil fuel extraction in these areas is responsible for nearly a quarter of all U.S. greenhouse gas emissions,” Warren wrote in a Monday blog post announcing her proposals. Warren is set to discuss the public lands policies this week during campaign stops in South Carolina, Colorado and Utah. Her proposals, particularly the bid to end new fossil fuel leasing on public lands, are likely to draw plaudits from environmental groups while running afoul of the oil and gas industry, which has benefited from millions of acres of public land offered for lease since Trump took office. Advocacy groups had urged then-President Barack Obama to halt new leases on federal land without success. However, the Trump administration’s plans for new offshore drilling have sparked legal challenges of their own, including one affecting tests on the Atlantic coast that’s backed by the Republican attorney general of South Carolina. Warren’s bid for a dramatic increase in renewable electricity generation on public land and offshore is a major turnabout from current policy. She acknowledged in her blog post that her goal is “nearly ten times what we are currently generating” but billed it as achievable. Among Warren’s other policy rollouts this year are proposals to tax the nation’s wealthiest people and tax corporations with profits greater than $100 million , a universal child care plan and proposals designed to decrease consolidation in the tech industry and the agriculture industry. “Not only does the Administration lack the legal authority to transfer detainees in this manner, it is shocking that the President and senior Administration officials are even considering manipulating release decisions for purely political reasons,” the three chairmen, Reps. Jerrold Nadler (D-N.Y.), Elijah Cummings (D-Md. ), and Bennie Thompson (D-Miss. ), wrote in the letter. MADISON, Wis. (AP) - The leader of a Wisconsin immigrant rights group is dismissing President Donald Trump's proposal to send detained migrants to "sanctuary cities." Rep. Alexandria Ocasio-Cortez, whose social media abilities allowed her 2018 grass root congressional campaign to flourish, said Sunday she has deleted her personal Facebook page, adding social media is a "public health risk to everybody." Attorney General William P. Barr is expected to release special counsel Robert Mueller's report in a redacted form to Congress and the public on Thursday morning, a Justice Department official said Monday. 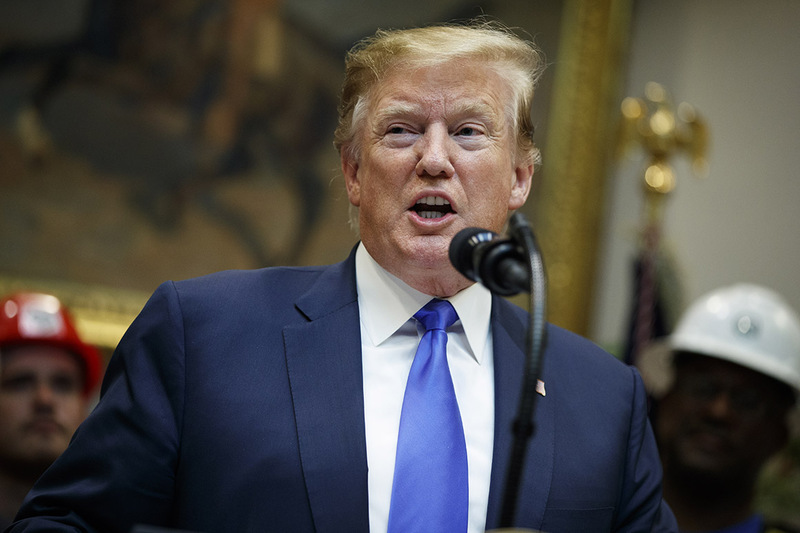 WASHINGTON (AP) - House Democrats asked the White House and agency officials on Monday for internal documents on Trump administration deliberations on its proposal to send detained migrants to "sanctuary cities," which are mostly Democratic strongholds. Democratic committee chairs announced a probe Monday into President Trump's nascent plan to ship illegal immigrants away from the border and release them into sanctuary cities, calling the proposed move "alarming." In a pair of fundraising missives in recent days, the Trump campaign utterly distorted what Barr had said. Venture for America founder and Democratic presidential candidate Andrew Yang declared Sunday that his universal basic income plan dubbed the "Freedom Dividend" will boost the economy and create two million new jobs. 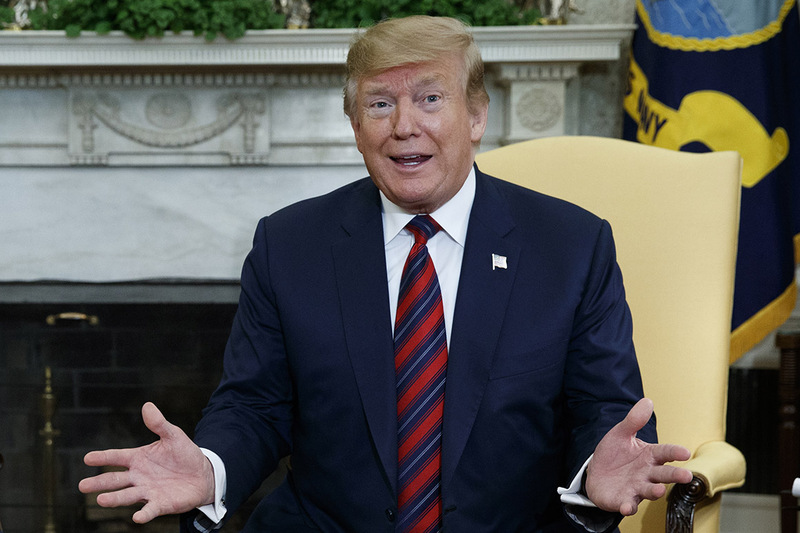 U.S. President Donald Trump took a new swipe Monday at Rep. Ilhan Omar for her comments about the 9/11 terrorist attacks, along with House Speaker Nancy Pelosi for defending the Somali American lawmaker. On Twitter, Trump said, "Before Nancy, who has lost all control of Congress and is getting nothing done, decides to defend her leader, Rep. Omar, she should look at the anti-Semitic, anti-Israel and ungrateful U.S. HATE statements Omar has made. She is out of control, except for her control of Nancy!" Omar, one of two Muslim women in the U.S. Congress, said Sunday she has experienced an increase in death threats in the days since Trump posted a video critical of her comments about the September 11, 2001, terror attacks. Trump's Friday tweet included Omar's brief line from a recent speech that "somebody did something" in the attack, followed by more than 40 seconds of Sept. 11 video footage and a large graphic repeating the words "somebody did something." ​Omar said many of those threatening her life directly referenced Trump's post. She also cited a rise in violence and acts of hate by right-wing extremists in the United States and elsewhere in the world, saying, "We can no longer ignore that they are being encouraged" by Trump. "Violent rhetoric and all forms of hate speech have no place in our society, much less from our country's commander in chief," she wrote. "We are all Americans. This is endangering lives. It has to stop." Earlier in the day, the White House denied Trump is inciting violence and Islamophobia. "Certainly the president is wishing no ill will and certainly not violence towards anyone," White House spokeswoman Sarah Sanders said on the "Fox News Sunday" political issues program. "But the president should be calling out the congresswoman for not only one time but a history of anti-Semitic comments," she added, accusing Omar's fellow Democrats of "looking the other way." Pelosi, who oversees the Democratic-controlled House of Representatives, said the memories of the terrorist attacks on New York and Washington are "sacred ground, and any discussion of it must be done with reverence." She asked security officials to make sure Omar and her staff are protected at the Capitol and nearby congressional office buildings. Pelosi called Trump's video "disrespectful and dangerous," and said it must be removed. Democratic Rep. Jerrold Nadler said on CNN Sunday he had no problem with Omar's comments. "I have had some problems with some of her other remarks, but not with that one," he said. In an emotional speech last month to the Council on American-Islamic Relations, Omar spoke out against discrimination against and suspicions of Muslims. "CAIR was founded after 9/11 because they recognized that some people did something, that all of us were starting to lose access to our civil liberties. For far too long, we have lived with the discomfort of being a second-class citizen, and frankly, I'm tired of it. And every single Muslim in the country should be tired of it," she said. Other Omar critics have focused solely on that one single line, accusing her of trivializing the inhumanity of Sept. 11 but not mentioning the rest of her speech. Some Democrats accuse Trump of stirring up the same kind of Islamophobia that Omar was decrying. Nadler said Trump has "no moral authority" for talking about Sept. 11. He accused Trump of "stealing" a $150,000 grant meant for small business owners to rebuild their destroyed businesses after the attack and using that money for his own real estate holding. Democratic presidential candidate Bernie Sanders noted that then-President George W. Bush, a Republican, went to a mosque after 9/11 to assure Muslim Americans that they are not criminals and terrorists. U.S. President Donald Trump claimed again Monday that he is already exonerated of wrongdoing linked to the 2016 election, even as he and the American public await the imminent release of special counsel Robert Mueller's nearly 400-page report on Russian meddling aimed at helping him win. The U.S. leader, on Twitter, said that Mueller and Attorney General William Barr, based on Mueller's findings, "have already ruled No Collusion, No Obstruction." Trump contended that "these crimes were committed" by his 2016 opponent, Democrat Hillary Clinton, the Democratic National Committee and "Dirty Cops," his derogatory term for former top U.S. law enforcement officials, "and others! INVESTIGATE THE INVESTIGATORS!" Washington is expecting that Barr could disclose a redacted version of Mueller's report early this week, much-awaited details from the prosecutor's 22-month investigation of Trump campaign contacts with Russia and whether Trump, as president, obstructed justice by trying to thwart the probe. Sparring over the report in advance of its release is rampant. Barr released a four-page summary of Mueller's findings three weeks ago, saying the prosecutor had concluded that Trump and his campaign did not collude with Russia to help him win but had reached no conclusion whether Trump obstructed justice. But with Mueller not reaching a decision on the obstruction issue, Barr and Deputy Attorney General Rod Rosenstein decided no obstruction charges against Trump were warranted. Barr, a Trump appointee as the country's top law enforcement official, said last week he believes that top American intelligence agencies spied on the Trump campaign and is opening an investigation to see whether it was "adequately predicated." As for the Mueller report, White House press secretary Sarah Sanders told Fox News Sunday, "I don't think it is going to be damaging to the president." Congressman Jerrold Nadler, chairman of the House Judiciary Committee that is probing the election, told CNN on Sunday that Barr should release the full report and underlying investigatory evidence to his panel, but Barr has balked. 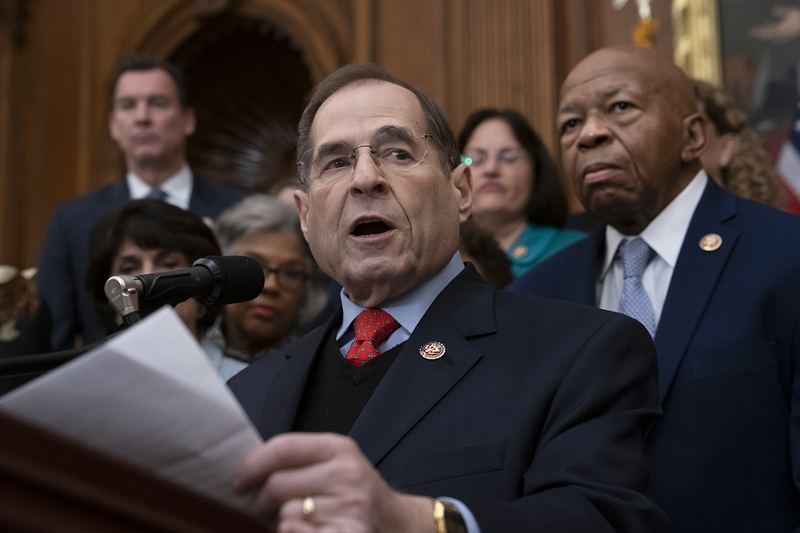 "To deny the Judiciary Committee and the Congress the knowledge of what's in parts of the Mueller report is not proper," Nadler said. No one other than Barr and key officials in the Justice Department, Mueller and his team of prosecutors appear to know what the report says about the extent of Trump campaign links with Russia during his 2016 campaign or whether he took any actions as the U.S. leader aimed at inhibiting the investigation. Nadler said that even though Barr concluded no obstruction charges should be brought against Trump, his decision should not go without review. Nadler noted that Barr, before he became the country's top law enforcement official, wrote that Trump could not obstruct justice because the president "is the boss of the Justice Department and could order it around to institute an investigation, to eliminate an investigation or could not be questioned about that." "In other words, (Barr) thinks as a matter of law a president can't obstruct justice, which is a very wild theory to which most people do not agree," Nadler said. "The fact of the matter is we should see and judge for ourselves and Congress should judge whether the president obstructed justice or not, and the public ultimately." Nadler said it "may be that Mueller decided not to prosecute obstruction of justice for various reasons that there wasn't proof beyond a reasonable doubt on some things. But there still may have been proof of some very bad deeds and very bad motives. And we need to see them and the public needs to see them." Since the release of Barr's summary, Trump has claimed "total exoneration, no collusion, no obstruction." Trump for months derided Mueller's investigation, but said he believes Mueller acted honorably in clearing him of colluding with Russia. Opposition Democrats like Nadler have launched new investigations of Trump, a Republican, but the president is objecting. 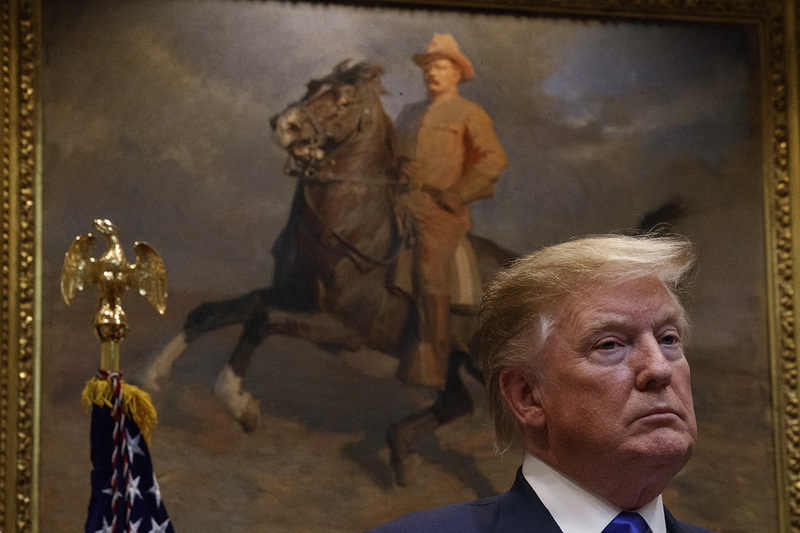 On Twitter, Trump said Saturday, "Why should Radical Left Democrats in Congress have a right to retry and examine the $35,000,000 (two years in the making) No Collusion Mueller Report...." Barr has said he will release as much of the Mueller report as possible, while excluding material Mueller included from secret grand jury testimony and confidential U.S. intelligence sources. 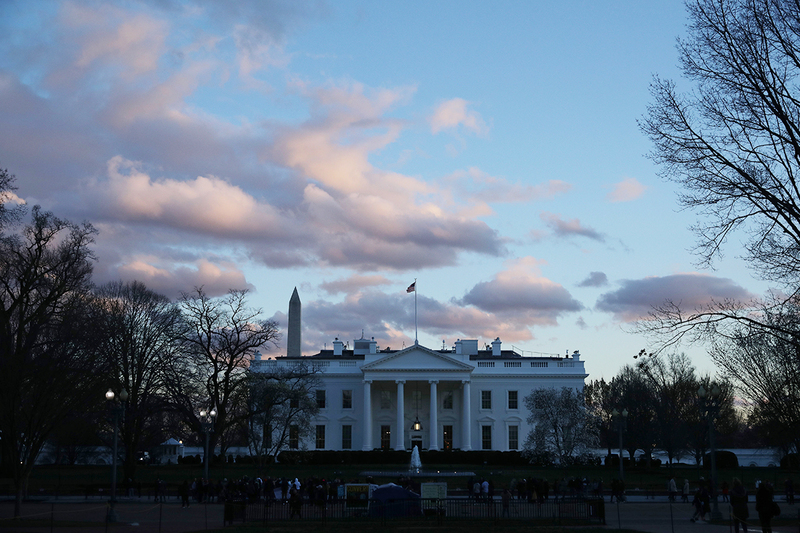 Last month, the committee formally requested that Mazars turn over 10 years of Trump’s financial records, related specifically to the Trump Organization, the president's revocable trust, and other subsidiaries. “[T]he House Oversight Committee is not a miniature Department of Justice, charged with investigating and prosecuting potential federal crimes. It is a legislative body, not ‘a law enforcement or trial agency,’ and the chairman’s attempt to assume for Congress the role of police, prosecutor, and judge is unconstitutional,” the wrote. Dan Crenshaw helped ignite the ongoing uproar over Ilhan Omar. Democrats raised the alarm Monday about President Trump's massive first-quarter fundraising haul for reelection, warning liberal donors that the president's campaign war chest could leave Democratic challengers "in the dust." "There's nobody in the country who knows better that he should not be president of the United States than Donald Trump," Pelosi said in the interview that aired Sunday. Rep. Katie Porter responded Monday to comments made by White House press secretary Sarah Huckabee Sanders Sunday claiming congressional Democrats were not "smart enough" to review President Trump's tax returns if they obtain them. Trump's video tweet came after Omar made remarks about the civil liberties of Muslims in the United States, during which she referred to the 9/11 terrorist attacks by saying "some people did something." Omar, one of the first Muslim women to be elected to Congress, has received backlash for her comments. However a number of Democrats, including freshman Rep. Alexandria Ocasio-Cortez, have come to Omar's defense. Omar on Sunday evening said in a statement, "since the President’s tweet Friday evening, I have experienced an increase in direct threats on my life — many directly referencing or replying to the President’s video." The former speaker of the U.S. House of Representatives, Paul Ryan, said Monday that the U.S. wants the rest of the world to be more like Taiwan — praise that will likely anger Beijing, which has long been sensitive to cooperation between the U.S. and the democratically governed island that China claims as its own. "Taiwan is a democratic success story, a reliable partner and a force for good in the world," Ryan said at a celebration for the 40th anniversary of the Taiwan Relations Act, which guides U.S. policy toward Taiwan. While the U.S. does not have formal diplomatic ties with the island, the act requires Washington to ensure that Taiwan can defend itself. "We want the rest of the world to be more like Taiwan," said Ryan, who led an American delegation to the American Institute in Taiwan, the de facto U.S. embassy. He said both parties care deeply about the "critically important relationship" between the U.S. and Taiwan. Taiwanese President Tsai Ing-wen, who also spoke at the event, praised the two parties' "enduring partnership" as one that has "withstood the test of time." Taiwan split from mainland China during a civil war in 1949, and only 17 mainly small, developing nations recognize Taiwan as a sovereign nation. Over the past year, Beijing has employed increasingly strident rhetoric around "re-unifying" the island with Communist Party-ruled mainland China, declaring that it has not ruled out the use of force. Ryan said the U.S. "commitment to Taiwan's security remains rock-solid." Last month, Taiwan asked to purchase new fighter jets and tanks from the U.S., its main supplier of military weapons. American arms sales to Taiwan have long been a thorn in U.S. relations with China. President Trump said Monday House Majority Leader Nancy Pelosi is actually a subordinate to Rep. Ilhan Omar, adding she should look at Ms. Omar's "anti-Semitic" comments before defending her.